What does your dealership constitute as a quality lead? Is it a phone call? An online form lead? A test drive? 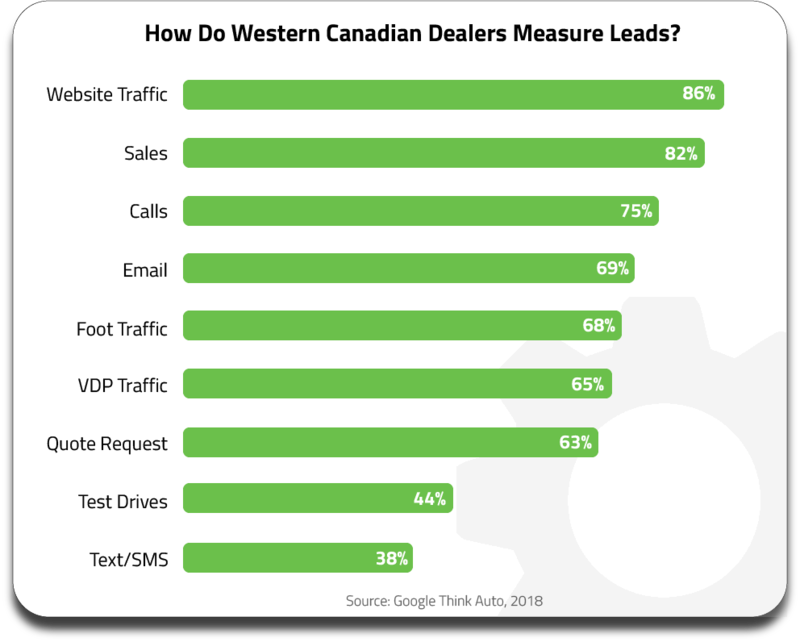 At the 2018 Western Canadian Dealer Summit, Google Think Auto shared some valuable insight into how most Canadian dealers measure leads. We, as well as Google, were slightly stunned by the responses. The majority of Canadian dealerships consider website traffic and sales to be the most commonly measured leads, while text messages and test drives are surprisingly low. These statistics are a little crazy – especially because web traffic and sales aren’t really leads at all. That isn’t to say that the data isn’t valuable, but traffic is traditionally a precursor to a lead, while a sale is the goal outcome of generating leads. Think of these two metrics as bookends in the lead generation and management process. Clearly, there’s a large disconnect between what marketing agencies define as leads and what dealerships define as a lead. So what exactly is a lead? A lead is a concrete sales opportunity that your dealership can pursue. Online form submissions, phone calls, requests for quotes and test drives are all clear opportunities for your dealership sales team to action with the goal of selling vehicles or booking services! Measuring web traffic and sales both as leads doesn’t make a whole lot of sense for your dealership and it may be skewing your dealership’s marketing analytics. Sales, for example, are the end goal, but not a lead. A lead is something that results in a sale (in the ideal outcome). Further, although driving traffic to your dealership’s website is important, measuring web traffic as leads isn’t very effective. Web traffic is a very broad, general, and top-of-funnel metric. It’s tricky to determine whether visitors to your dealership’s website actually exhibit buying behaviour, landed on your page by mistake, or have other intentions beyond buying. If your dealership is currently measuring website traffic and vehicle sales as leads, Google recommends that you re-evaluate your measurement strategy to focus on other actions in which people display clear, actionable buying intentions. If you’d like to get a conversation started to determine the most effective lead generation and measurement strategies for your dealership, reach out to our magnificent Customer Success team today!